Double Sided Tape 12mm x 25m. Super strong double sided tape. Great for fairy dust, ribbons and other items. 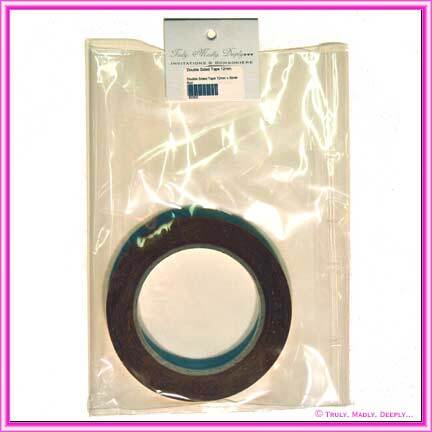 In store we have other sizes of double sided tape, including 6mm, 9mm & 19mm.